On 4 June and 5 June 1982, Israeli F-16 planes bombed Palestinian refugee camps and other PLO targets in Beirut and southern Lebanon. For the first time in over ten months, the PLO responded by launching artillery and mortar attacks on civilian centers in northern Israel. 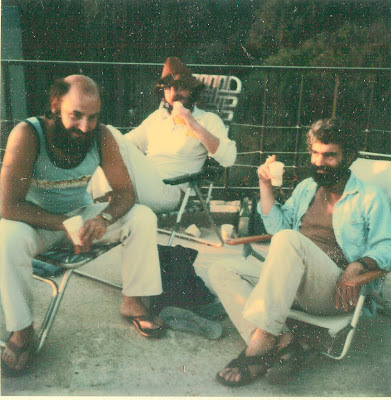 On the photo Zvi Garti,Bob Nechin and I- 10 minutes before being called to join my Army Unit.